In April 1941, the United States was still blissfully uninvolved in WWII. 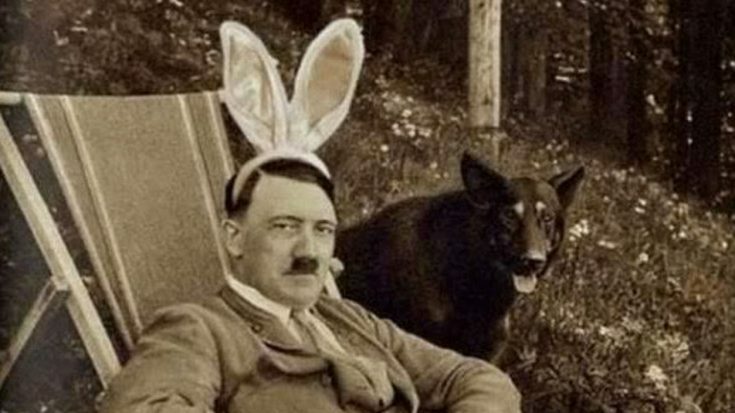 The Easter festivities were light-hearted and fun that year, the last time they would be like that for a while. But the U.S. wasn’t completely disconnected from the rest of the world. Egg decorators took a fancy to the idea of painting a certain foreign leader’s face on the eggs. 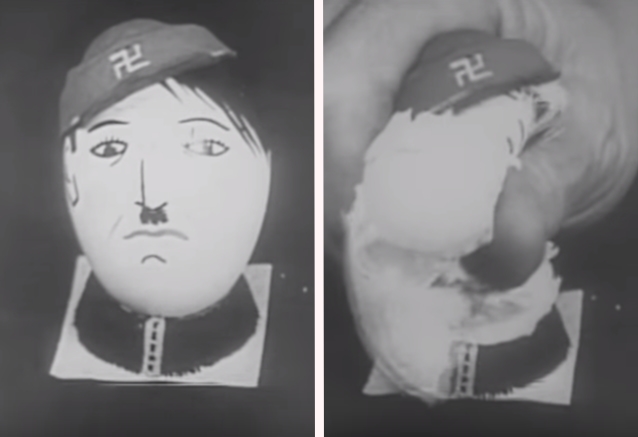 In a time when the U.S. was neutral, Americans still couldn’t resist the opportunity to crush a Hitler – yolk and all! 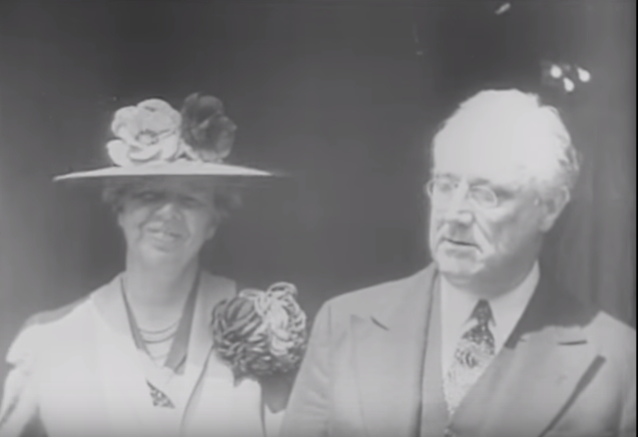 This lovely clip from Paramount News shows just what it was like back then before the war was fully fledged. Their newsreels would show biweekly news coverage in the theater before featured films, and Paramount News would later become a propaganda machine with the Office of War Information. Easter eggs weren’t the only way people cheekily showed their distaste of the leader. 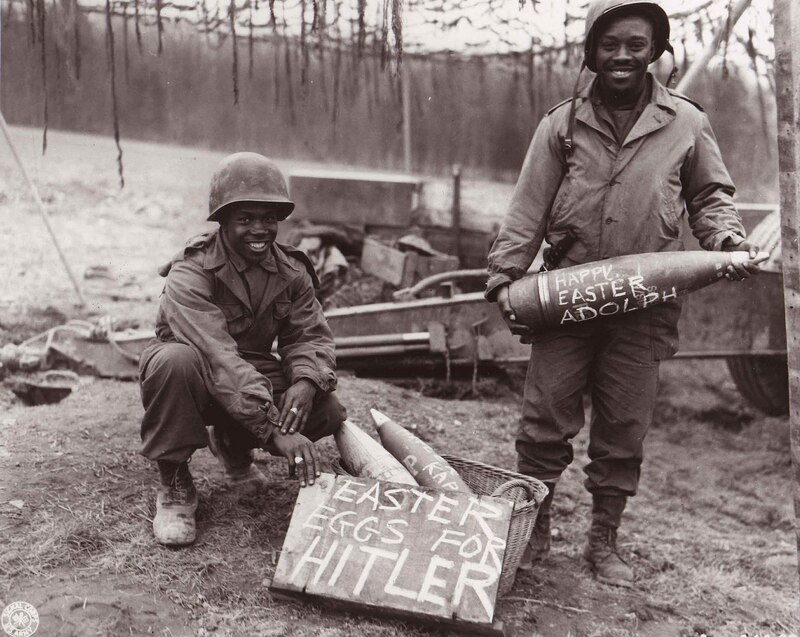 The military loved to paint their bombs, artillery, and basically whatever they could find, with holiday messages for the enemy.